Do you live for fashion and have the credit card bills to prove it? Do certain brand names make you salivate? Do you have to be the first one wearing the latest pieces from the newest lines? Let’s talk mirror time: how long does it take you to get dressed? If it’s upward of an hour, hello, Fashion Addict! Life is a catwalk for the Fashion Addict and the world is a glossy Vogue editorial. 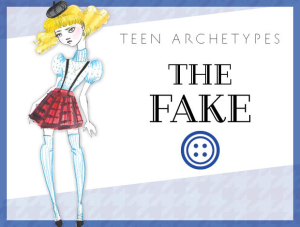 Every nuance and detail of style matters to this type and you can be sure that the Fashion Addict knows the difference between knife pleats and box pleats or smocking and trapunto. The look, feel, mood, and message of clothing and accessories is an obsession for this type and Fashion Addicts identify so strongly with their style choices that they mistakenly believe they are defined by them. A “you are what you wear” creed might make the Fashion Addict look good in pictures, but it is ultimately a source of spiritual and financial bankruptcy. Shopping is an exquisite high for the Fashion Addict who cares more about Proenza Schouler and Givenchy than food and rent. Fashion Addicts love to hang out together so they can be one another’s enablers. You can also find them around the Class Leader, Prince, Princess, Brat, Free Spirit, and many types in the Creative family. Everyone in the Fashion Addict’s life takes second place to fashion, and the Fashion Addict won’t last with anyone who doesn’t understand this. Fashion Addicts adore dressing as a couple and their significant others may feel at times like living accessories. Partners should count on being made over (and over and over) and endlessly styled to fit into the Fashion Addict’s vision. Clothing, as hard as it may try, cannot love you back. So there’s that. But the even more trying challenge that the Fashion Addict faces is the fickleness of the art form. The bling ring that’s in today will ride out on tomorrow’s boat shoes. 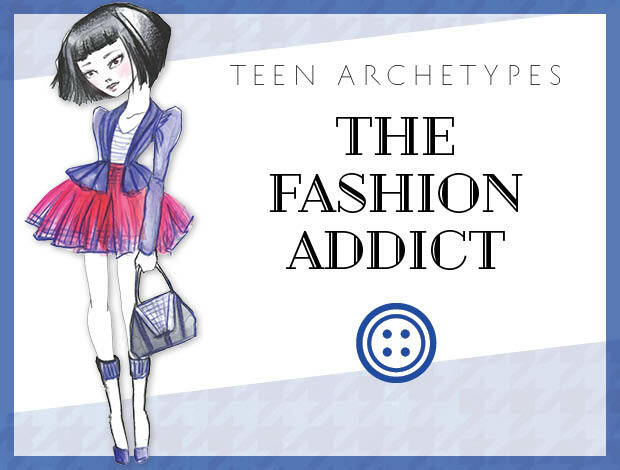 If there’s a Fashion Addict in your life, it might help you to realize that, like other Addicts, the Fashion Addict is trying to use external trappings to fill an in internal void. It’s like trying to cure depression with a Band-Aid. Seize any opportunity you can to reinforce the idea that “clothes don’t make the man” (or woman), rather it’s the man that makes the clothes. If you’re a Fashion Addict, your cure lies in self-acceptance. You are a person worthy of love and respect, regardless of how you are dressed. Figure out what’s keeping you from inner peace and acceptance and deal with that. When you believe at a deep level that you have nothing to prove, you will enjoy buying and wearing clothes without letting the process take over your entire life and bank account.